David W. Vandewalker is the Coordinator of Performing Arts for Fulton County Schools (Atlanta, GA) supporting the music education and music therapy faculty in 57 elementary schools, 19 middle schools, and 17 high schools who serve approximately 96,000 students. He earned degrees at Baylor University, Central Michigan University, and Boston University where he received the Doctor of Musical Arts degree in Music Education. Dr. Vandewalker is the founding artistic director and conductor of the professional ensemble, Cobb Chamber Winds, the associate conductor of the nationally recognized Sudler Scroll recipient ensemble, Tara Winds, and the administrator, artistic director, and principal conductor of the Metropolitan Atlanta Youth Wind Ensemble. As a performer, he enjoys artistic development as a vocalist, cellist, and clarinetist with twenty-nine years of teaching experiences spanning elementary, middle school, high school, and higher education as a conductor of both choral and instrumental ensembles. Additionally, David studied with Jos Wuytack, student and friend of Carl Orff, for his Orff-Schulwerk Level 2 certification. He has served as a lead curriculum writer for both Cobb County School District and the Georgia Department of Education and presently serves on the Fine Arts Curriculum Advisory Council for the GDOE. Dr. Vandewalker began his teaching career in the Belton and Klein Independent School Districts (TX). Most recently, he served as the associate director of athletic bands/ assistant director of bands at Georgia State University (2012-2016) and Director of Bands at Harrison High School in Kennesaw, Georgia (2000-2012). A Conn-Selmer Artist/Educator, he has led concerts before esteemed audiences such as the CBDNA/NBA Southern Division Conference, Music for All National Concert Festival, and the Midwest International Band and Orchestra Clinic. Marching Bands under his direction received honors including participation in the 57th Presidential Inaugural Parade, 2009 & 2014 Macy’s Thanksgiving Day Parade, ranked top-ten nationally by the 2013 College Band Directors National Association (CBDNA), and Bands of America Grand National Finalist (Top 12). As an avid supporter of new music for the wind band, Dr. Vandewalker consistently works with composers, arrangers, and performing artists in the wind band medium. Residencies and collaborations with composers and other conductors are integral to his creative work. He presently serves on the national board of directors for the ASPIRE (Advancement of Secondary and Primary Instrumental Repertoire Excellence) Commissioning project. Performances under his direction have received the praise of such notable composers/conductors as Steven Bryant, David Dzubay, John Mackey, Scott McAllister, Ray Cramer, Fredrick Fennell, Col. Arnold Gabriel, Gary Green, Michael Haithcock, James Keene, and Kevin Sedatole. Dr. Vandewalker is a recipient of the Sudler Flag of Honor, nine- National Band Association Citation of Excellence Awards, three National Wind Band Honors Awards, is recognized in multiple editions of Who's Who Among American Teachers, and is an elected member of the American Bandmasters Association. He has published numerous articles in professional journals, chapters in multiple volumes of the Teaching Music Through Performance in Band book series (GIA) and Rehearsing the High School Band (Hal Leonard), books including Boosters to the Rescue, and Strategic Plans for a Successful Booster Club (GIA), and Foundations for Wind Band Clarity- Arrangements for Concert Band, Foundations for Wind Band Clarity- Instructional DVD, and Everyday Stuff Every Director Needs to Know (Vision Publications). 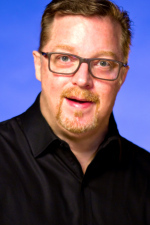 Additionally, Vandewalker is a nationally-renown staff development presenter with multiple clinician appearances for GMEA, Music for All Summer Symposium, Smith Walbridge Directors Institute, Texas Bandmasters Association, and the Midwest Clinic. David and his wife, Pamela, reside in Marietta where she is Minister of Creativity and Worship Programming at Johnson Ferry Baptist Church where she has over 900 children actively involved in music making each week. Pamela (Master of Music in Choral Conducting - UM/Kansas City Conservatory) is a 2014 Dove Award winner for Best Children’s/Youth Musical in her collaboration with Veggie Tales/Big Idea. Together, David and Pamela created Teeny Tykes and Tunes, an early childhood music curriculum series published in English and Spanish (Vision Publications) along with Teeny Tykes and Tunes: Africa Edition, Volume 1 and 2 (CLMC/Nairobi) and Teeny Tykes and Tunes First Steps English, an English as a second language curriculum (Vision Publications) developed for use in North Africa.